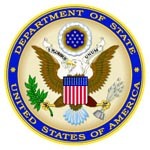 Press releases, selected documents, photographs, audio clips and other material from the historic conference in Havana. 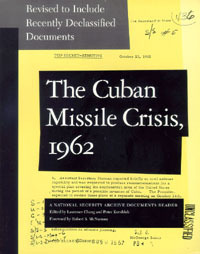 Formerly secret documents from U.S., Cuban, Soviet and East Bloc archives. Listen in on White House intelligence briefings and hear the actual voices of President Kennedy, his brother Robert, and other advisers during meetings of the President's Executive Committee (ExComm). Images of Soviet missile and antiaircraft installations taken by U-2 spyplanes and U.S. Navy low-level reconnaissance aircraft in October-November 1962 used to brief President Kennedy and his advisers. Documents, naval charts and other declassified records on the U.S. hunt for Soviet submarines during the most dangerous days of the crisis. Two day-by-day, minute-by-minute chronologies of events surrounding the missile crisis. Read the analysis of contemporary historians as they sift through the historiography and more recent evidence to learn the lessons of history. Turning History on Its Head.